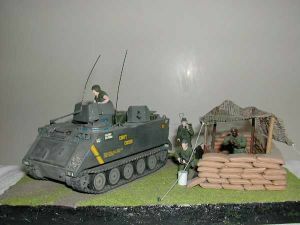 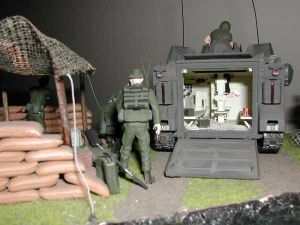 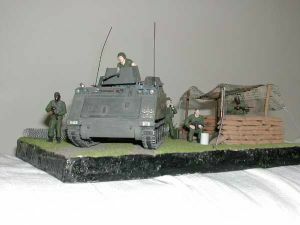 The diorama represents a M113 ACAV during the Vietnam war. It is based on the Tamiya kit with figures and accessories by Italeri. It is my first military vehicle model.